Plans to create a Business Improvement District in Halifax and shape the future of the town centre are now well underway. A Business Improvement District (BID) is a defined geographical area within which local individual rate-paying businesses put forward ideas to improve and transform their area. These ideas are then voted on by all the BID members and funds are ring-fenced to provide improvements, ensuring a sustainable and democratic way of creating a development plan for the area. Proposed by Marketing Halifax, the BID is now going through a major scoping process and businesses in the town centre are being consulted about what changes would benefit them. The first BID meeting took place last week and opened to a strong crowd of business owners, directors and managers from a wide range of organisations. The event gave all businesses a chance to hear about what a BID is and why it is being proposed. Tracy Harvey, managing director of Harveys, of Halifax opened the meeting and stressed her support for the BID and its importance for the town. Vicar of Halifax Hilary Barber, chair of Marketing Halifax, said: “A Business Improvement District presents a great opportunity for businesses to shape the future of Halifax town centre. 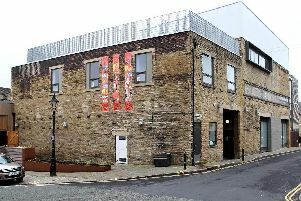 Calderdale Council has lent its support to the business led initiative and has helped to fund the consultation phase of the process. Councillor Barry Collins, the council’s cabinet member for regeneration and economic development, said: “A successful BID can drive improvements to a town centre, giving businesses a collective voice in how their money is spent. What do you think about the plans? Share your views on the BID at yoursay@halifaxcourier.co.uk.